Illinois Bicycle Shop Insurance. Bicycle shops assemble and sell bicycles without motors. Related items such as clothing, shoes, helmets, safety equipment, novelties, and other biking gear may also be offered to customers. Some stores will offer rentals, repair services and delivery. Some sponsor competitions, excursions, events, or tours. 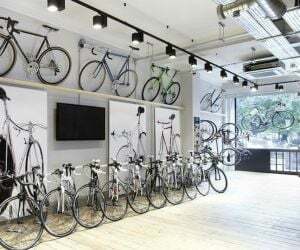 The most likely risks a cycling store faces include injuries to a customer taking a test ride on a bicycle, as well as damage to your property or inventory from situations like natural catastrophes, theft or severe weather patterns. Getting Illinois bicycle shop insurance will safeguard your business against these and other risks you face on a daily basis. Illinois bicycle shop insurance protects your cycling store from lawsuits with rates as low as $37/mo. Get a fast quote and your certificate of insurance now. Commercial General Liability: General liability insurance protects your cycling store from another person's claims of bodily injury, medical costs and property damage. An example would be a customer got injured while taking a test ride (the retailer should make sure they have a properly drafted Release of Liability and rental/test ride agreement), or a customers brakes failed after you did a tune up. General liability also protects you against 'slip and fall' type claims. Product Liability: As a bike store owner, as the seller - you can held liable for placing a defective product into the hands of a consumer. If you have responsibility for a product defect that causes injury, you can be sued along with manufacturer. Business Property Insurance: This will protect your IL bike store from damage to your bikes, accessories, fixtures, inventory and more from destruction which can be caused by storms, theft or severe weather. This coverage option is going to protect your business from such costs you would otherwise be paying out of pocket to repair or replace. Commercial Crime: Crime insurance covers you bike store's money, securities and other property against a variety of criminal acts, such as employee theft, robbery, forgery, extortion and computer fraud. 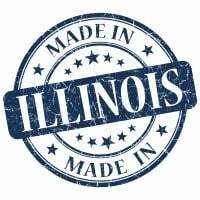 This Illinois bicycle shop insurance is very important if you are in a high crime zip code. IL Commercial Auto: If you use vehicles for your business to pick up or deliver, commercial auto insurance is an important coverage. If you or an employee is sued following a serious accident in a car or truck you own, liability insurance helps pays for the injuries or damages. Business Owners Policy: A business owner's policy, or BOP, combines business property and general liability insurance and business income in one policy. A BOP bundles these and other useful coverage for small business into one affordable Illinois bicycle shop insurance policy. Workers' Compensation: Workers comp is required in most states for any non-owner or partner employees. Employees can get hurt on the job. If they do, IL workers comp will protect you, and pay for medical bills, lost wages, time off, and even pending lawsuits if a former or disgruntled employee tries to make false claims about an injury. This is extremely beneficial if an employee has to miss time off work due to an injury, as this optional coverage will pay their wages while they aren't able to work in the store. Commercial Umbrella - Also called excess liability coverage when added to your Illinois bicycle shop insurance policy. This is for the bike store owner who wants a higher level of protection. If lawsuits take place, if you have to go to court, if there is major damage or injuries which occur in your shop - this policy will cover any costs which exceed the level of coverage you purchased with your liability protection. Cyber Liability - This Illinois bicycle shop insurance policy covers your liability for a data breach where your customers' personal information, such as Social Security or credit card numbers, is exposed or stolen by a hacker or other criminal. Premises liability exposure comes from slips and falls due to public access to the premises. Bicycles are unstable and can easily overturn when hit. Supervision of customers as they "try out" the bicycles is important to prevent falls. Floor coverings should be in good condition, with no frayed or worn spots on carpet and no cracks or holes in flooring. Sufficient exits must be provided and be well marked, with backup lighting systems in case of power failure. If equipment is rented, it must be reconditioned before it is rented again. If vendors provide services, the store should require certificates of insurance verifying appropriate limits of liability. Any exposure to competitions, excursions, tours, or events, particularly sponsorship of events held outside the United States, needs careful evaluation as the shop can incur substantial liability from off-premises operations. Parking lots and sidewalks need to be in good repair with snow and ice removed, and generally level and free of exposure to slips and falls, especially if there is a "test area" for customers to use. If the business is open after dark, there should be adequate lighting and appropriate security for the area. Personal injury exposure can come from apprehending and detaining shoplifters. Shoplifting procedures must be fully understood and utilized by all employees. Products liability exposure is normally high since the shop provides assembly and repair of bicycles. Compliance with all manufacturers' instructions is critical. Direct importing and customizing will increase exposure to that of a manufacturer. Foreign-made items should come from a domestic-based wholesaler. In any retail business, hold-ups can occur. Employees should be trained to respond in a prescribed manner. The assembly, repair and customization may introduce metalworking that will require eye protection. If employees participate in activities such as competitions or excursions off premises, proper training and use of safety equipment is critical to prevent injury. Property exposures are due to flammables such as lubricants, oils, degreasers, and solvents used in assembly and repair operations. They must be properly stored, separated, and controlled. Theft can be a concern due to the street market and high value of bicycles. These thefts are often from younger criminals who may vandalize the premises during a burglary. Appropriate security measures should be present including physical barriers to prevent entrance to the premises after hours and an alarm system that reports directly to a central station or the police department. Inland marine exposures are from accounts receivable if the store offers credit, bailees customers if the store accepts customers' items for repair, computers to transact sales and monitor inventory, exhibitions and goods in transit if the store takes goods to trade shows or other off-premises events, and valuable papers and records for vendors' and customers' records. Backup copies of all records, including computer records, should be made and stored off premises. Business auto exposure can be high if delivery services are provided. Anyone who uses a vehicle must have a valid license and acceptable MVR. Vehicles should have regular maintenance with records kept. If there is no delivery service, the exposure will be limited to hired and nonownership liability for employees running errands. As a bike shop owner, you need to consider all policy options when choosing an insurance provider for your Illinois bicycle shop insurance policy. Request a free Illinois Bicycle Shop insurance quote in Addison, Algonquin, Alton, Arlington Heights, Aurora, Bartlett, Batavia, Belleville, Belvidere, Berwyn, Bloomingdale, Bloomington, Blue Island, Bolingbrook, Buffalo Grove, Burbank, Calumet, Carbondale, Carol Stream, Carpentersville, Champaign, Charleston, Chicago Heights, Chicago, Cicero town, Collinsville, Crest Hill, Crystal Lake, Danville, Darien, DeKalb, Decatur, Des Plaines, Dolton, Downers Grove, East Moline, East Peoria, East St. Louis, Edwardsville, Elgin, Elk Grove, Elmhurst, Elmwood Park, Evanston, Freeport, Galesburg, Geneva, Glen Ellyn, Glendale Heights, Glenview, Granite, Grayslake, Gurnee, Hanover Park, Harvey, Highland Park, Hoffman Estates, Homer Glen, Huntley, Joliet, Kankakee, Lake in the Hills, Lansing, Libertyville, Lisle, Lockport, Lombard, Loves Park, Machesney Park, Maywood, McHenry, Melrose Park, Moline, Morton Grove, Mount Prospect, Mundelein, Naperville, New Lenox, Niles, Normal town, North Chicago, Northbrook, O'Fallon, Oak Forest, Oak Lawn, Oak Park, Orland Park, Oswego, Palatine, Park Forest, Park Ridge, Pekin, Peoria, Plainfield, Quincy, Rock Island, Rockford, Rolling Meadows, Romeoville, Roselle, Round Lake Beach, Schaumburg, Skokie, South Elgin, South Holland, Springfield, St. Charles, Streamwood, Tinley Park, Urbana, Vernon Hills, Villa Park, Waukegan, West Chicago, Westmont, Wheaton, Wheeling, Wilmette, Woodridge, Woodstock, Zion and all other cities in IL - The Prairie State.